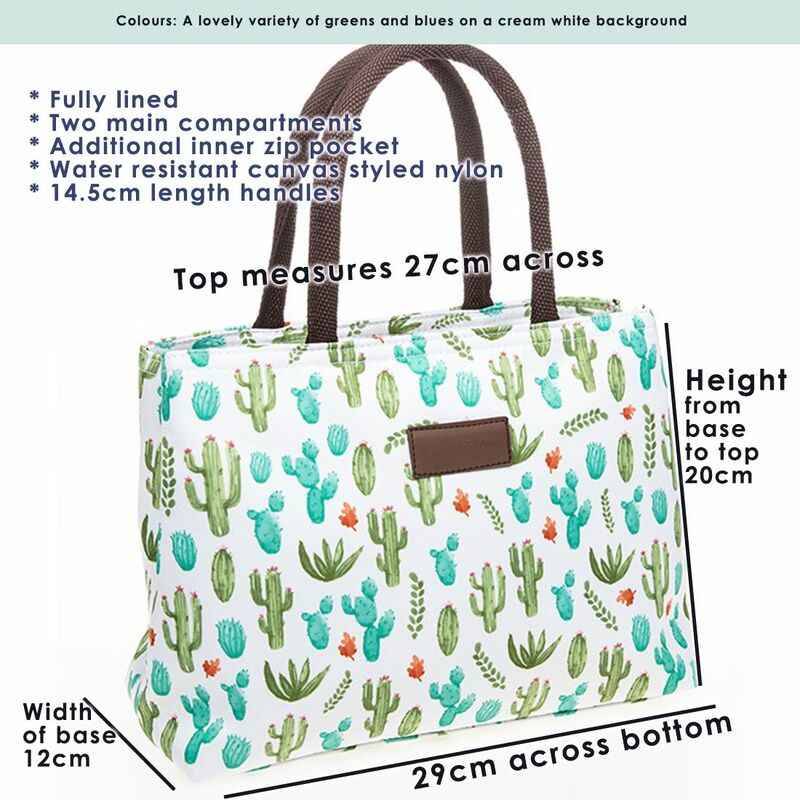 Bag body size approx 20 high x 29cm at base and 27cm at top with the addition of 14.5cm handles. 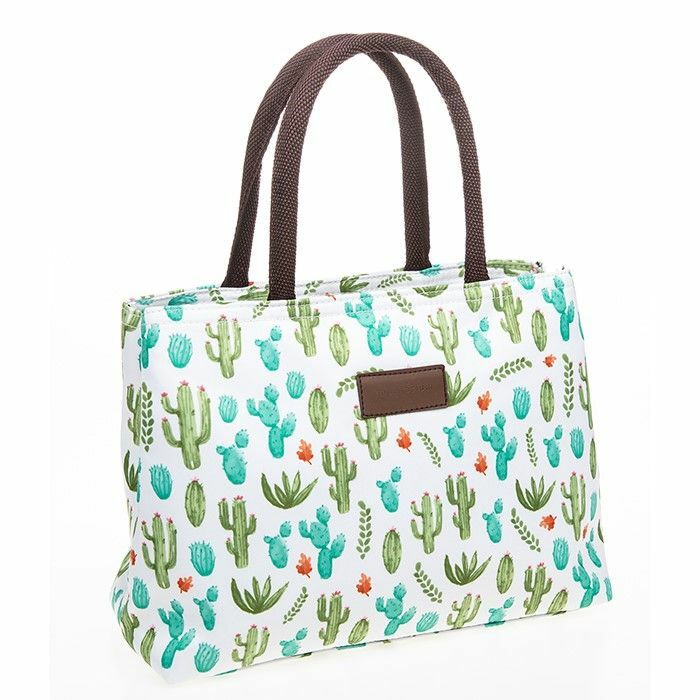 Comfortable and versatile as it can be carried as a grab bag styled tote. Use for travel / holidays, everyday, work, shopping and more. Colouring is a pretty array of blue and green on an ivory cream base. Lining and handles are chocolate brown. Beautiful.